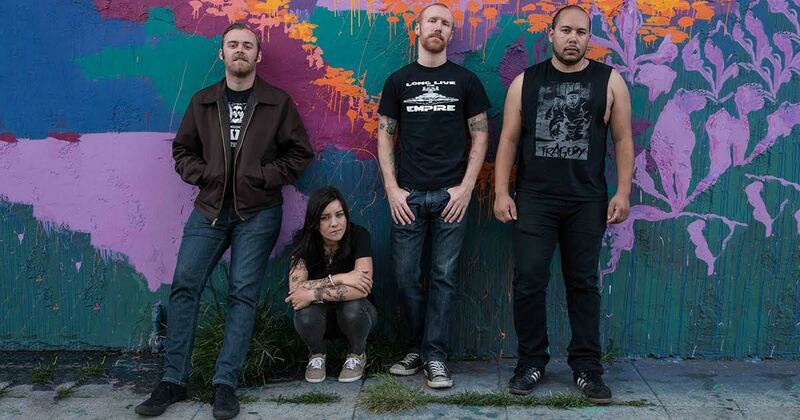 OAKLAND, Calif. — Acclaimed short film director Cullen Arrats has enlisted Powerviolence group ThrustPuncher to score his upcoming short film The Divine Constipation Of Being, sources report. The band said scoring the film has been a completely different experience than writing for themselves. Guerrero said she enjoys developing a story with her music. “The characters go on such a journey. There’s a scene where a tricycle falls off a cliff in slow motion, and that made me want to play a little faster and a bit louder,” said Guerrero. Despite this being the band’s first foray into film scoring, the reactions have been mostly positive. The band is hoping the opportunity will lead to future work in the entertainment industry.